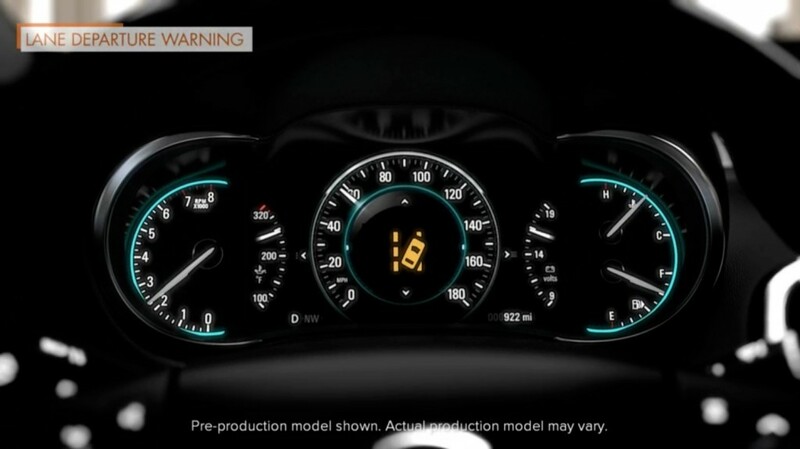 Lane Departure Warning is a General Motors active safety technology that aims to prevent crashes by providing alerts when a vehicle begins to leave its lane and its turn signal is not activated. The technology uses a forward-looking camera mounted behind the windshield in front of the inside rear-view mirror and works when the vehicle is in a Forward gear and driving above 35 mph (56 km/h). Turning the system or or off is accomplished via a hard switch with an LED indicator. A lit LED indicator indicates that Lane Departure Warning is ON.